Lighting by Hammerworks handcrafted Hanging Copper Colonial Lantern, as always is proudly made in America since 1979. First and foremost, expect the same attention to detail and historical accuracy as you find throughout our handmade lighting. 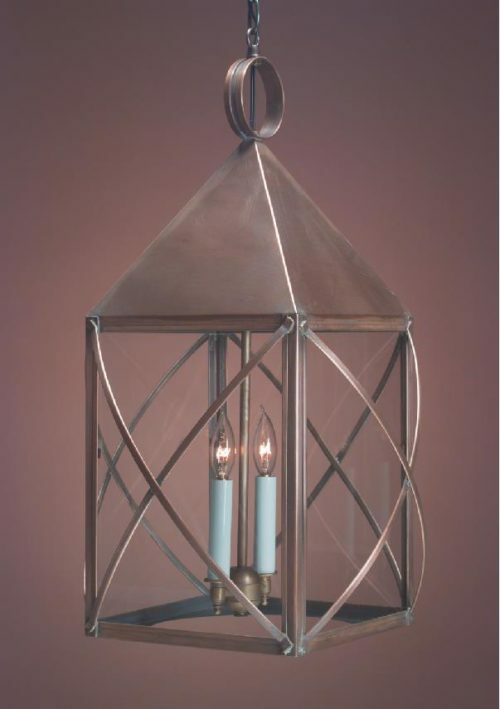 In addition we make each hanging lantern out of solid copper or brass. Furthermore we offer custom finish options of painted black and verdigris copper upon request. 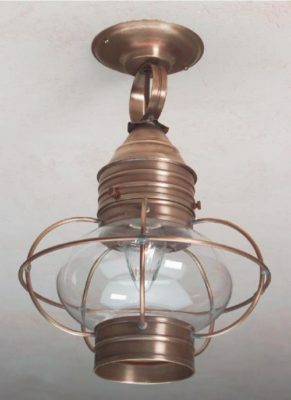 Also hanging pendant lanterns range in style from primitive to traditional. As a result there is a design that is perfect for your home. 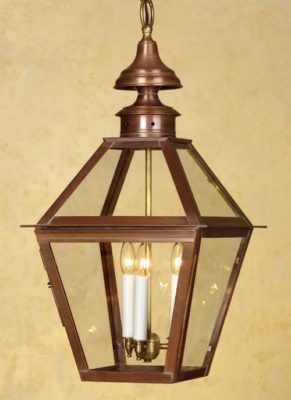 At Hammerworks we deliver quality & craftsmanship one light at a time. 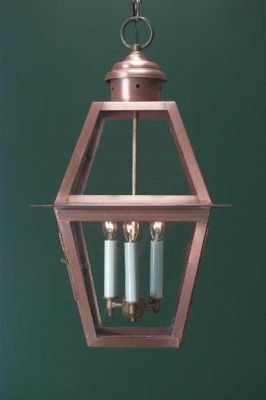 Hanging Copper Colonial Lantern. Although hanging lanterns are primarily intended for the exterior of your home, their uses extend to many areas inside as well. First of all, many customers choose to place a hanging light in the front entry or hallway. Not only that, they are an attractive alternative as kitchen pendant lights. Hence you can easily group together 2 or 3 of them over a kitchen counter or island. In addition, with so many sizes and styles to choose from, you can integrate them throughout a kitchen, dining, great room area. Of course if you prefer to mix and match your lighting, you can choose one of our many antique chandelier or ceiling light styles to coordinate with hanging lanterns. Consequently we offer a solution to any area in your home that requires overhead lighting.